Each year between October and December, the California Educational Theatre Association adjudicates Fall productions throughout the Southern California Region. The top high school productions are presented at our CETA Southern High School Theatre Festival during the Friday, Saturday and Sunday of Martin Luther King, Jr. weekend. The weekend offers a variety of opportunities including workshops led by professionals in the industry encouraging artistic growth for high school students and their teachers. The three-day Festival showcases four MainStage plays selected from four regions of Southern California: Los Angeles, Orange County, the Inland Empire, and San Diego County. Additionally, eight schools are selected to perform 10-minute scenes from their productions for the Festival’s SceneFest. The CETA Southern High School Theatre Festival is open to all high schools across the state of California. 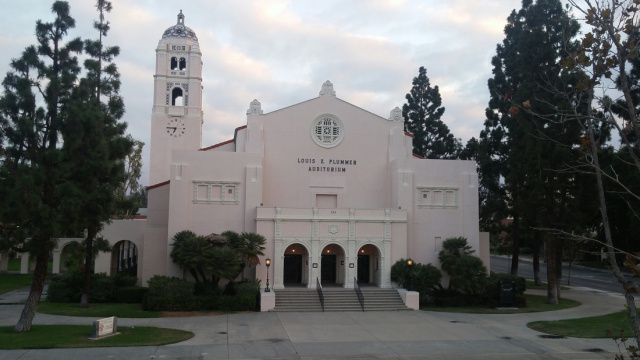 to the Historic Plummer Auditorium in Fullerton California for Martin Luther King Jr Weekend. September 14, 2018– Registration for Adjudication Closes. CA State Thespian Southern Leadership Conference in Upland. October 5, 2018– Adjudication Period Begins.